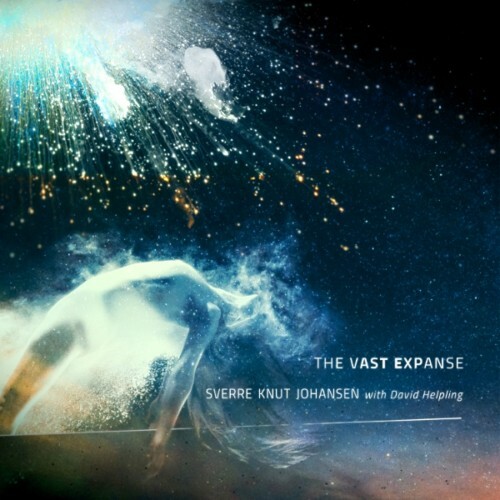 THE VAST EXPANSE, Sverre Knut Johansen’s third release on the Spotted Peccary Music label, offers a fantastic sci-fi themed electro-symphonic trek through the human awareness and contemplation of the Universe and its origin. Joined by acclaimed ambient guitarist David Helpling, Johansen shapes intriguing musical meditations, delicately crafting organic and synthetic environments that effortlessly underscore the grandeur of the album’s magnificent theme. Driven by compelling rhythmic elements, the music is always in motion as orchestrated arpeggios and pulsing bass lines wind their way through rich atmospherics and heavenly dreamscapes. Johansen’s soaring melodies and detailed sequences, supported by Helpling’s spacial guitar textures and deep layered atmospheres, evoke finely tuned soundspaces filled with mystery and awe. Track titles like “Origins of the Universe”, “Space and Time”, “DNA (deoxyribonucleic acid)”, “Perfect Creation”, and “Abiogenesis” highlight Johansen’s thematic focus, while the music, filled with wonder, drama, and determination, accentuates the human search for cosmic meaning on this memorable musical exploration through the limitless themes of origin, expansion, and creation. 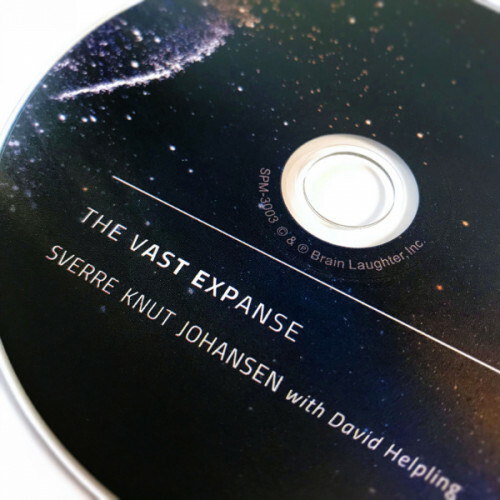 Sverre Knut Johansen's third release on the Spotted Peccary label lives up to its title, 'The Vast Expanse,' as it is expansive, but then again the composer is known for his spacey compositions. On this outing he has some help from ambient guitarist David Helpling who has been producing his own albums since 1996. 'The Vast Expanse' is a fairly mellow affair with little in the way of cosmic disruptions or stellar explosions. Nearly constantly in motion, there is a sense of purpose without urgency or impulsiveness in the music. It is as if it was a gradual unfolding of the universe in all its glory. While the opening track, aptly titled "Origins of the Universe" seems tentative at first with a plethora of sounds floating in the cosmic void, it eventually coalesces into a more solid formation, underscored with bass-driven rhythm and a distinctive melody. Nearly half way in, it really gets cooking and develops a theme that's going to have you thinking...Vangelis! That's not a bad thing either. Helpling's guitar adds a bit of panache without overtaking the orchestration. So far things are off to a wonderful start. Johansen stretches synth pads for miles, maybe even light years across title track, "The Vast Expanse" with nice melodic content and effective arpeggios. I found the melody on "Emotion Strata" too repetitious and overbearing for my taste, but the arrangement was nice. "Space and Time" is a cool track because the melody is rather abstract and you can blissfully float along without getting wrapped up in something too tuneful. "The Beginning," the longest track on the album at over 11 minutes begins in ambient space (or space ambient) before it develops any motion. When it did get going I was reminded of the early '70s electronic outfit, Tonto's Expanding Head Band. On this piece a simple theme augmented by arpeggios and sequencers is built upon until it becomes something quite fantastic, then dissolves away into hyperspace. Heavy (and I do mean heavy) pizzicato open "DNA" with probably more echo-verb than needed and become a mainstay of the track. A little much in my estimation. The rest of the album is just good space ambient chill, not particularly exciting or innovative, but enjoyable all the same. 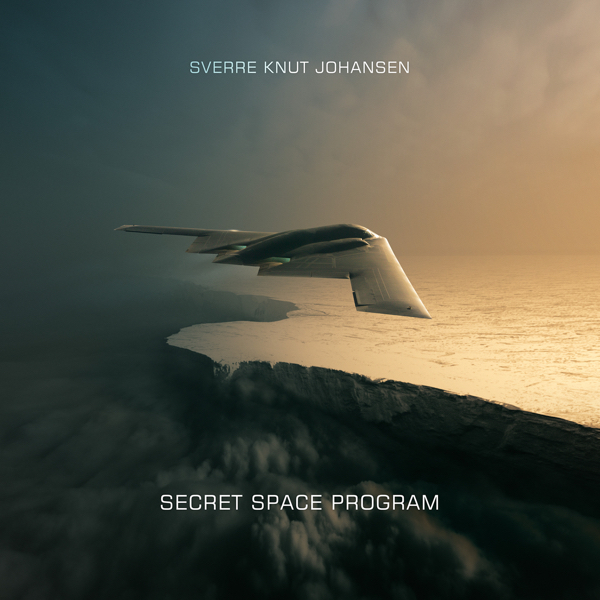 I liked 'The Vast Expanse' better than 'Secret Space Program' (Johansen's last album), partly because it isn't trying to be anything it's not, and also because of the universality of the music. Space ambient enthusiasts are guaranteed to have a wonderful trip with this one. - Steve Mecca, Chain D.L.K. 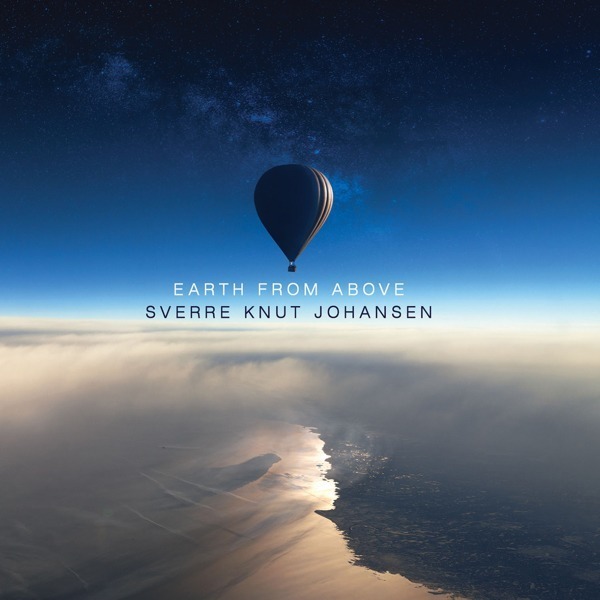 Above all else, two feelings are invoked by The Vast Expanse, Sverre Knut Johansen's third release on the Spotted Peccary Music label: awe and wonder. And that's as it should be, considering that the thematic focus of the album concerns fundamental questions such as the origins of the universe and the human species. Most of us, at one time or another, grapple with the eternal mysteries and ponder how we came into being, and the Norwegian electronic producer is no different. Albums that tackle the ‘big questions' are always in danger of collapsing under the weight of pretension, but not here: The Vast Expanse reveals Johansen's done a remarkable job of translating such lofty concerns into musical material that's epic but not overwrought. Its content inspired by the writings of the late Stephen Hawking and the theory of the Big Bang, The Vast Expanse is an eight-part suite whose episodes are connected by a pretty melodic motif that emerges during the first part and is referenced thereafter in varied form. The music has ties to ambient, electronica, electroacoustic, classical, and even IDM, but in its presentation it's a hybrid form integrating all such styles organically. Perhaps the best term to describe what Johansen's doing here is sound painting. Acoustic and electronic elements are the tools with which he works, and it's not unusual to hear piano and guitar appearing alongside sweeping synthetic washes. Credit for the rich sound design must also be extended to David Helpling, whose ambient guitar textures contribute greatly to the total effect. Multiple colours are added to these atmospheric landscapes in such a way that rich, fully formed vistas are evoked. Exemplifying this painterly approach magnificently is the opening piece, “Origins of the Universe,” where Johansen artfully assembles a vast array of sound details into a complete, multi-layered whole. In its opening moments, whooshes and clusters hint at a universe being born, after which that aforementioned melody emerges, its swoon tinged with melancholy and soaring alongside a pulsating beat whose bounce catapults the music forward. The album is never more epic than during this initial movement, especially when the pumping, techno-styled groove lends the music such propulsion. As rhythm-focused as The Vast Expanse is in these moments, it also never sacrifices its lyrical and symphonic qualities in the process. Subsequent to that, Johansen dials the intensity level down slightly for the title track and “Emotion Strata,” both of which tease the ear with gentle variations on the opening track's theme. Contrasts in dynamics are repeatedly exploited as the album advances, with the material alternating between meditative episodes and high-intensity grandeur. Abetting the smoothness with which such transitions are effected, tension gradually increases during a calm interval when the move into a comparatively grandiose section is signaled by increases in volume and activity. A good illustration of the approach is “Space and Time,” which initially soothes with synthesizer percolations and ambient guitar textures but eventually swells into an energy-charged colossus. What a beautiful artist this Sverre Knut Johansen is! His compositions are melodious with a cinematic vision that is not unlike that of Vangelis. Flanked by David Helpling and his shadows of spectral guitars, the Norwegian multi-musician signs here a work inspired by the Big Bang theory and the writings of astrophysicist Stephen Hawking. “The Vast Expanse” is the third album of SKJ on the American label Spotted Peccary. It cements his reputation as a melodist and orchestral arranger with nearly 60 minutes of an EM where the complexity lies in nice textures of moods rich in tones but especially in orchestrations where the genres of David Wright and Mike Oldfield are only at an ear-jet. A buzz and multicolored strata which get deform according to their tones open the ambiences decor of "Origins of the Universe". The slow waltz of the sound effects gives a feeling of slow motion to the 90 seconds of the opening where are added breaths of voices and more aggressive sound elements, including tears of synth (guitar?) which seem to put the brakes so as not to crush the origins of the universe. White noises, pulsations and organic whispers fill these moods while moving towards a very lively pulsating beat, but the race is significantly slowed by the mass of very colorful sound effects and the roars of a synth to sharp colors. It's on the edge of the 4 minutes that the rhythm runs away in a semi-dance approach with its sequences, its percussion and its rattling. The melodic skills fill the second portion of "Origins of the Universe". Always wrapped in orchestral arrangements which make it twirl, the rhythm hosts not 2 melodic strategies, but 3 with keyboard chords, orgasmic voice sings and synth sighs. These elements converge into a beautiful earworm that sticks to our eardrums and intertwine their magnetizing charms in a rhythmic whirlwind well surrounded by multiple orchestral arrangements, it's like in the days of Giorgio Moroder, and by that Elven siren voice who will bewitching in several places in “The Vast Expanse”. "Origins of the Universe" set the tone for a high-pitched album in tonal colors with catchy and sometimes magnetizing rhythms where chills for dreamy souls are at the turn of each title. The structures are in evolutionary modes, passing from openings paved with atmospheric elements to embryonic rhythms which progress towards a Berlin School a la Erik Wollo or a music which will bring your feet back to life. The title-track evolves in these parameters to rely on a pulsating rhythm where a river of orchestrations and fragments of lunar melody are clinging. Here again, it's very David Wright or Code Indigo, and it's especially comfortable to the ears. In fact, we are not very far of a Yanni style of melodic New Age. But there is more! A harmonic filament escapes from the title and overflows into the territories of "Emotion Strata" which is a superb melody nesting in the effects of vertical jerks from a bed of staccato orchestrations. The piano and keyboard are impregnated with tenderness, while the synth completes this trio of electronic romance with well-drawn dreams in a soundscape which gains in intensity.